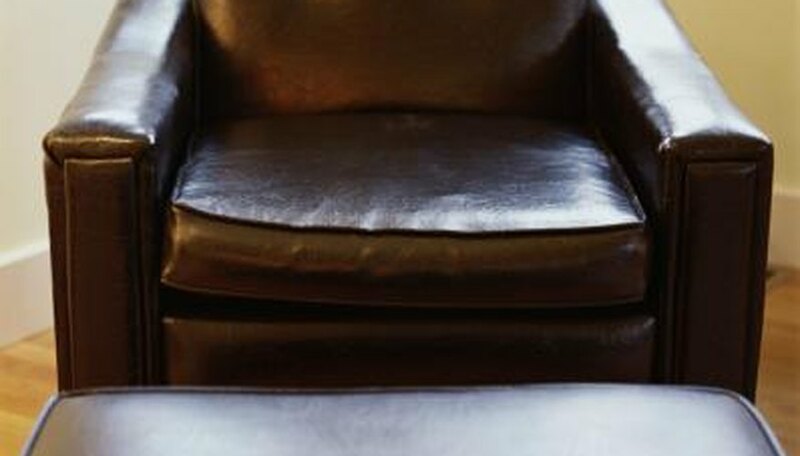 Leather furniture is typically durable and adds texture to a living room, making it desirable for many people. It can, however, overwhelm a room or seem too masculine if you don't decorate around the leather. Choose a color palette and other furniture pieces to accentuate your leather furniture and make it work for you, rather than letting it overtake your living room. 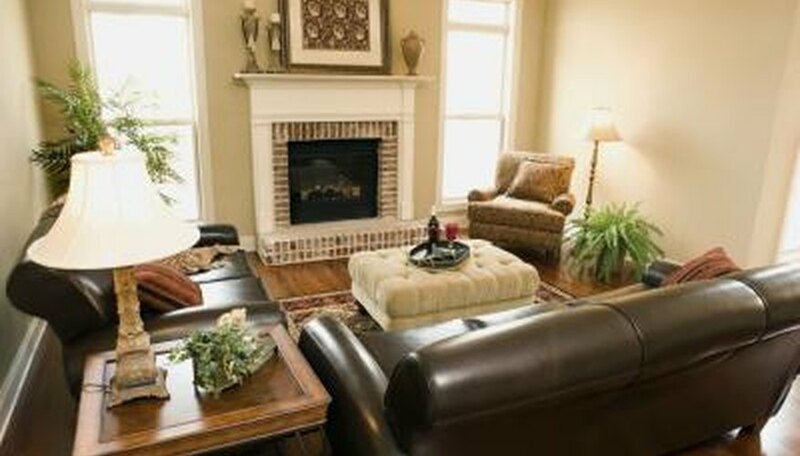 Decorate around your leather furniture to create a balanced living room. 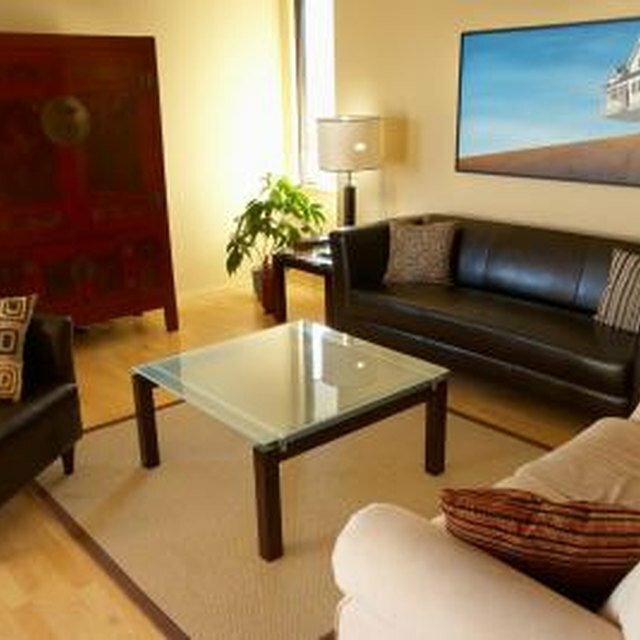 Use the rest of the room to balance the huge impact leather sofas have on your living room decor. Include a chair or ottoman made of a different fabric in a color that contrasts with or complements the leather sofa. For example, a light- or neutral-colored chair would pair well with a dark leather sofa, and a colorful chair would add flair to a room with white or cream-colored leather sofas. Add a couple of pillows or a throw on the leather sofa that matches the chair or curtains to pull the room together. Opt for light wood or glass tables with dark leather to avoid making the room too dark and heavy. Bright-colored leather sofas can be balanced with neutral rugs, chairs, ottomans, curtains and accessories. Duplicate the leather in the room by choosing a leather accessory, such as a valet or vase. Add a pair of leather chairs to counter a feminine sofa or to add quality leather pieces without spending a small fortune. Leather chairs should match the basic design and heft of other furniture pieces in the room. For example, small black or dark brown leather chairs with straight lines would easily fit into a room with a cream-colored fabric sofa with dark legs and straight lines. This combination would look good in a contemporary living room. Consider using pillows on the sofa made of leather that matches or closely resembles the leather from your chairs and place pillows on the chairs that mimic the sofa to tie all of the pieces together. Incorporate a couple of leather ottomans or footstools in your living room if you like the idea of adding leather but can't commit to larger pieces. Use the leather ottomans like you would a coffee table and add accessories on top of them to draw attention to them. Making your leather ottomans a focus of your living room decor will add texture and interest. Try to incorporate leather elsewhere in the room, such as a small chair or containers on a shelf. 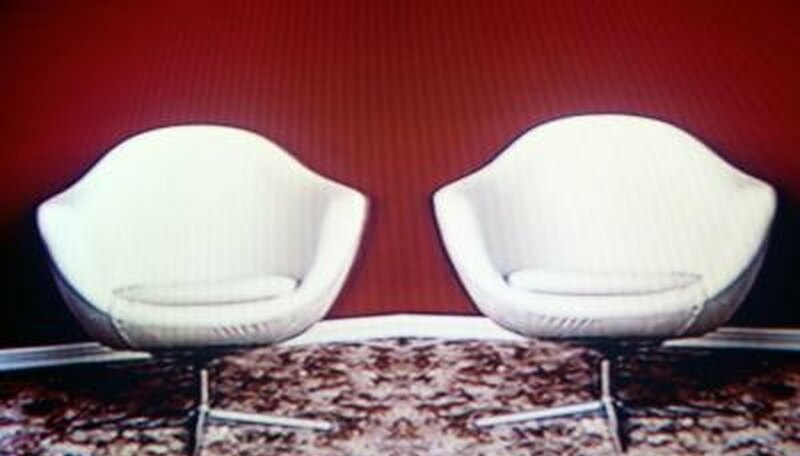 Can I Mix Different Colors of Leather Furniture in One Room?